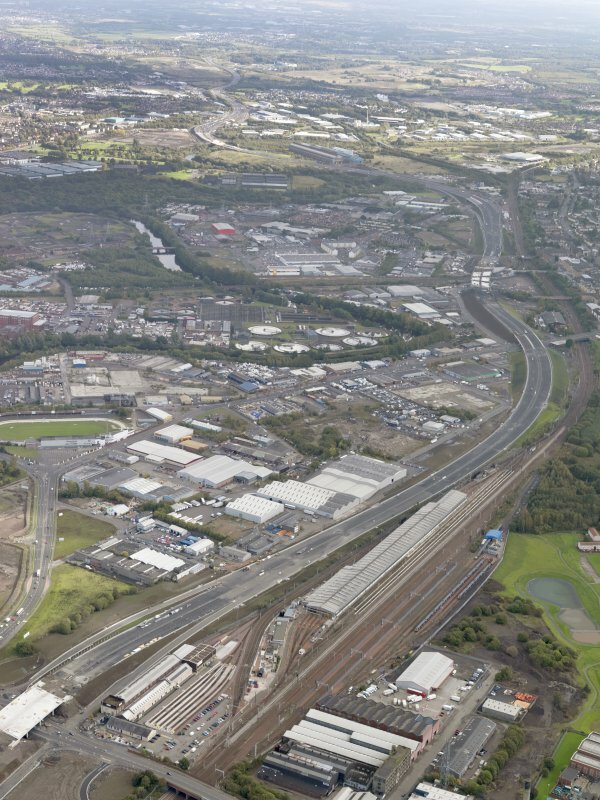 General oblique aerial view of Glasgow showing the route of the M74 extension going through the Rutherglen area, taken from the ENE. 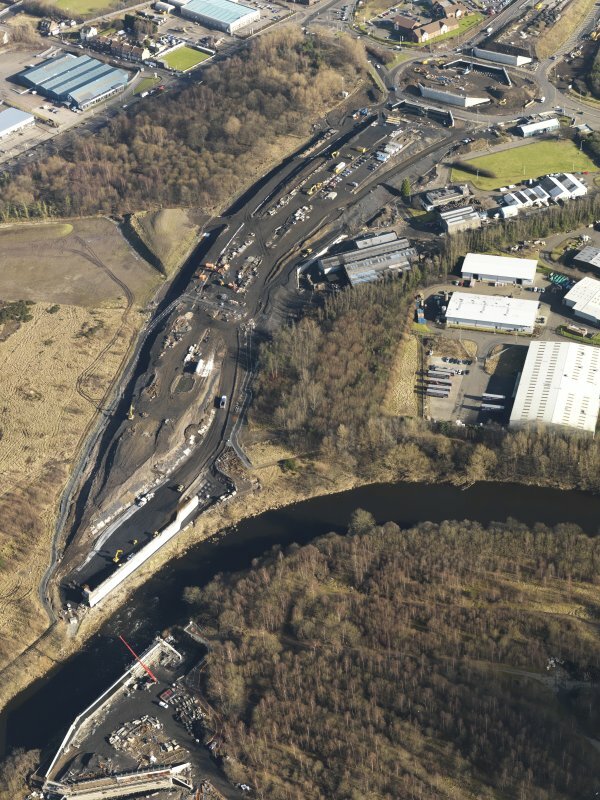 Oblique aerial view of M74 extension centred on the Dalbeth Bridge, taken from the S.
Oblique aerial view of M74 extension centred on the Fullerton Road junction (NS 6408 6239), leading to the Dalbeth Bridge, taken from the ENE. 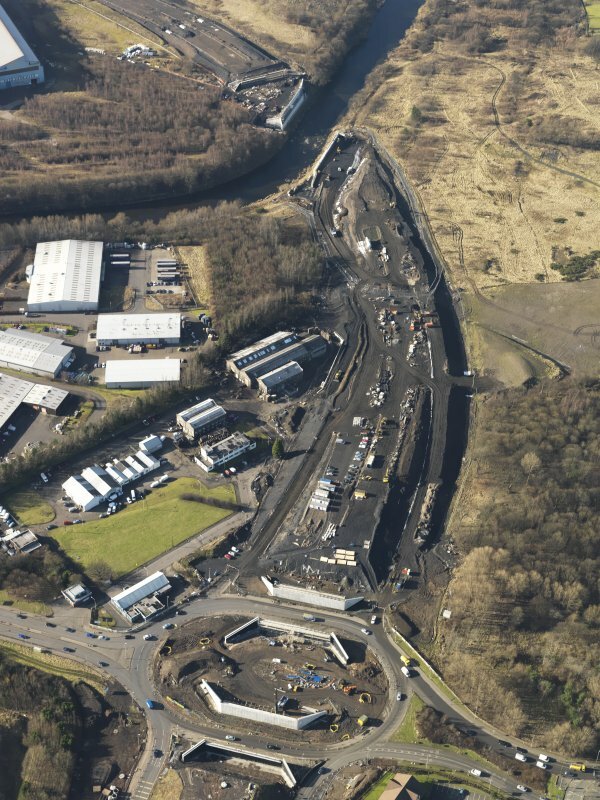 General oblique aerial view of the M74 extension looking E, centred on the Fullerton Road junction (NS 6408 6239 ) to Dalbeth Bridge area, taken from the W.
Oblique aerial view of M74 extension centred on the Fullerton Road junction (NS 6408 6239), leading to the Dalbeth Bridge, taken from the NE. 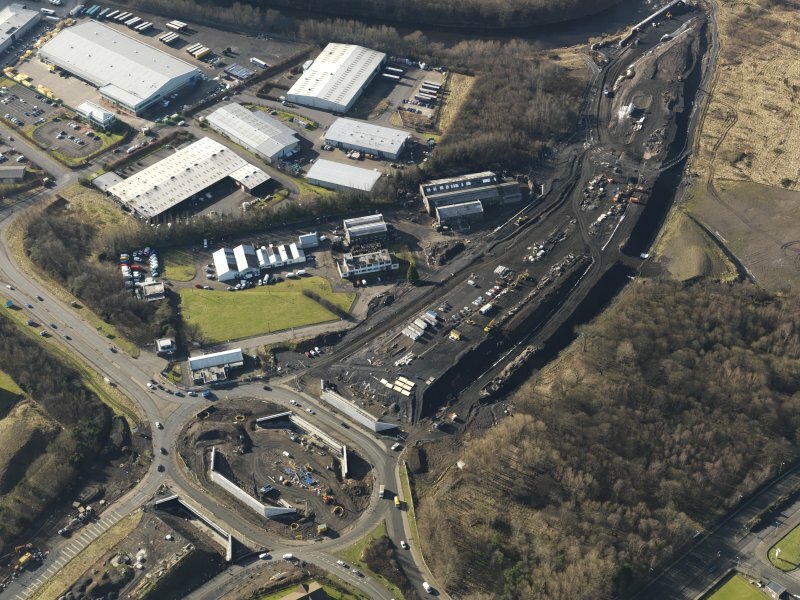 Oblique aerial view of M74 extension centred on the Dalbeth Bridge, leading to the Fullerton Road Junction (NS 6408 6239), taken from the ENE. 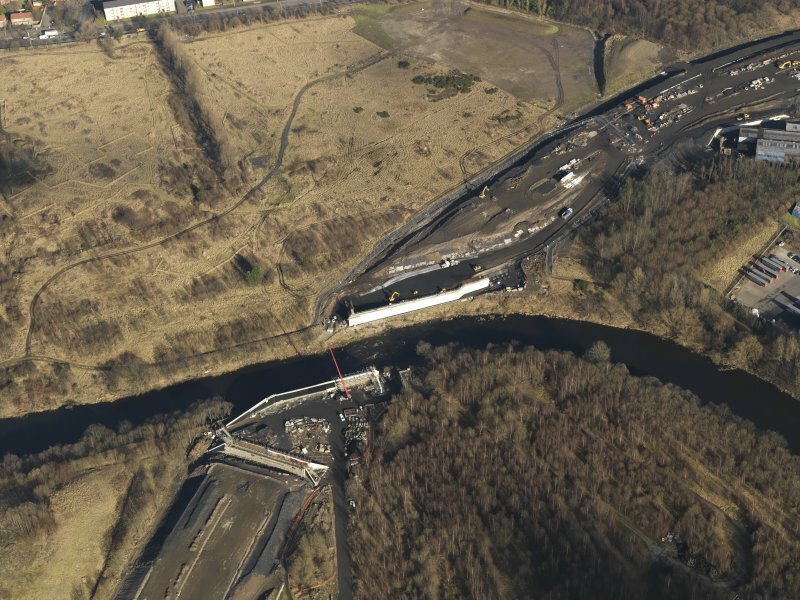 This project, which was largely undertaken in 2015 and 2016, initially comprised a desk-based qualitative assessment of about 360 Canmore records for which a direct association with the River Clyde could be demonstrated, identifying which records could be enhanced, and how, in a subsequent project. The desk-based phase of the project was followed by a programme of fieldwork (https://canmore.org.uk/project/1024867) which identified over 300 previously unrecorded sites along the river. 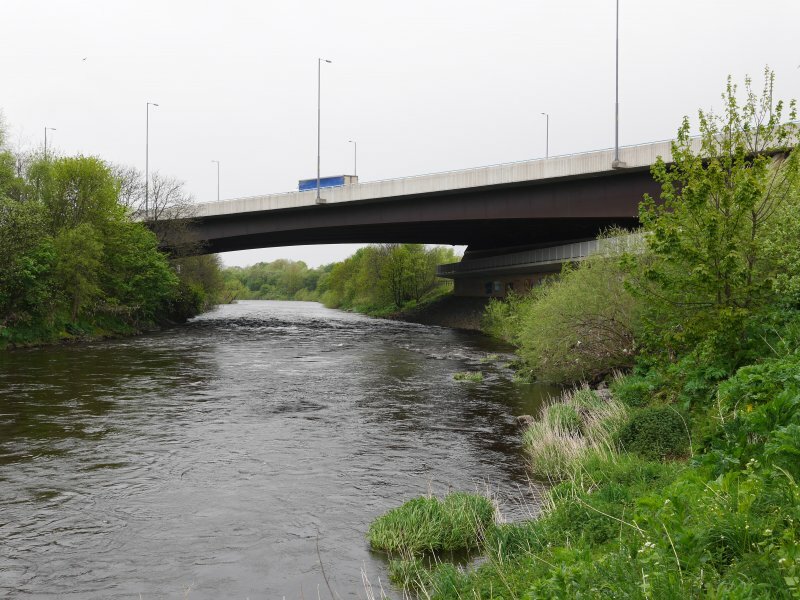 The Auchenshuggle Bridge carries the M74 over a 90m span of the River Clyde between junction 2 and 2a. 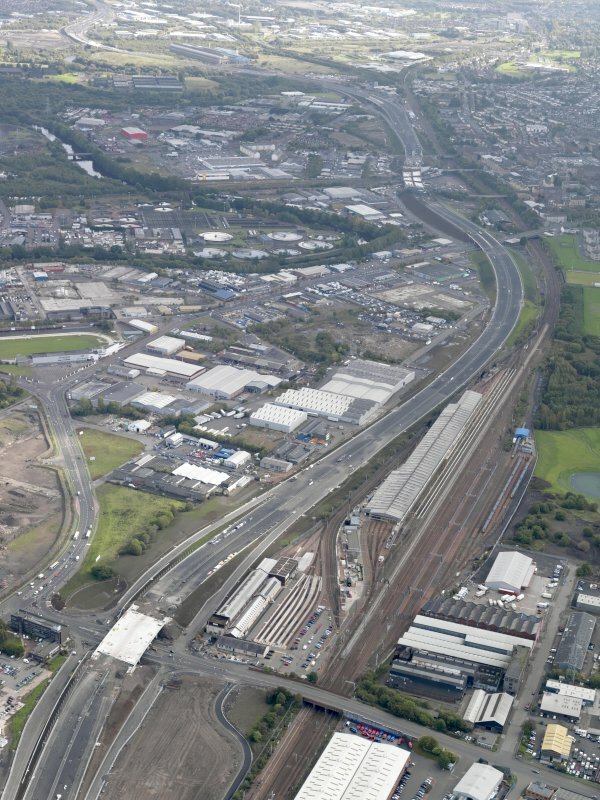 It was built as part of the northern extension of the M74, completed in 2011. 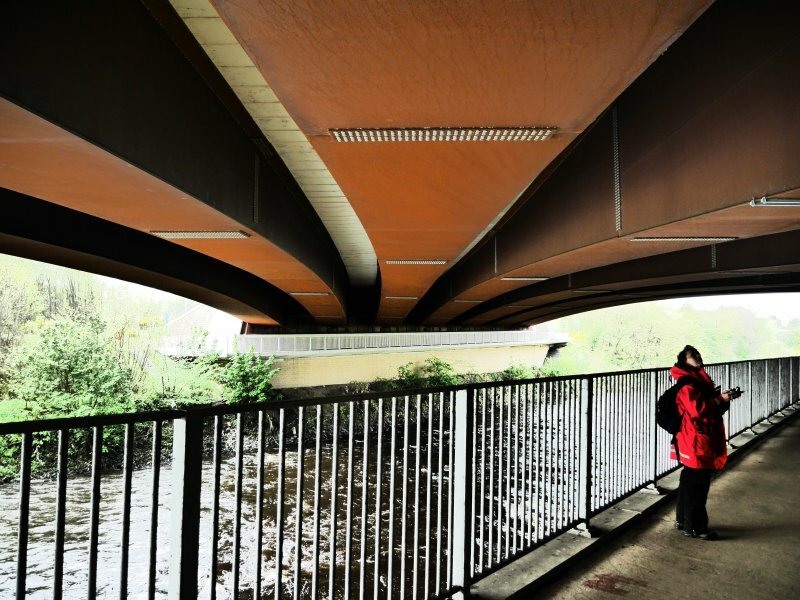 A single span bridge supported at each end by reinforced concrete supports, it is a dual-three lane motorway bridge, carrying both carriageways of the M74. 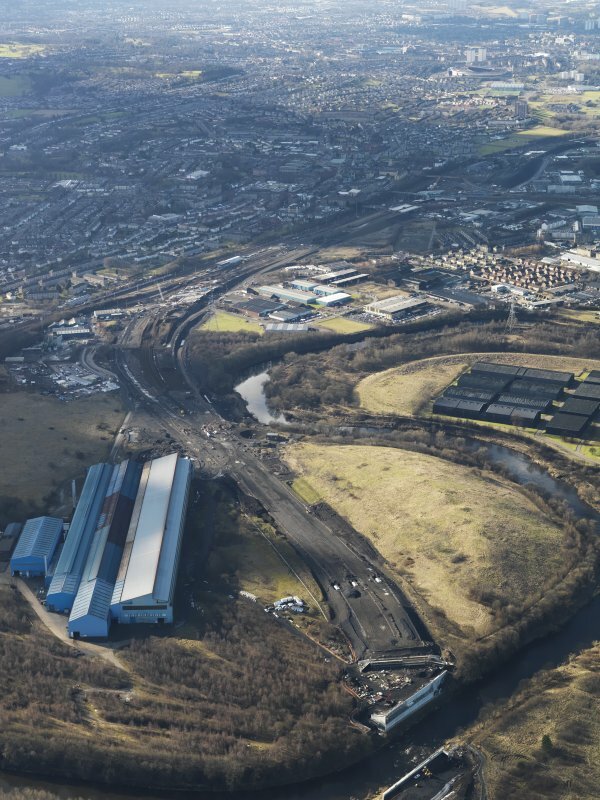 Cleveland Bridge supplied and erected the 7 lines of curved steel box bridge girders, which had a combined weight of 1,840 tonnes and required Europe’s largest mobile strut jib crane to lift in to place. 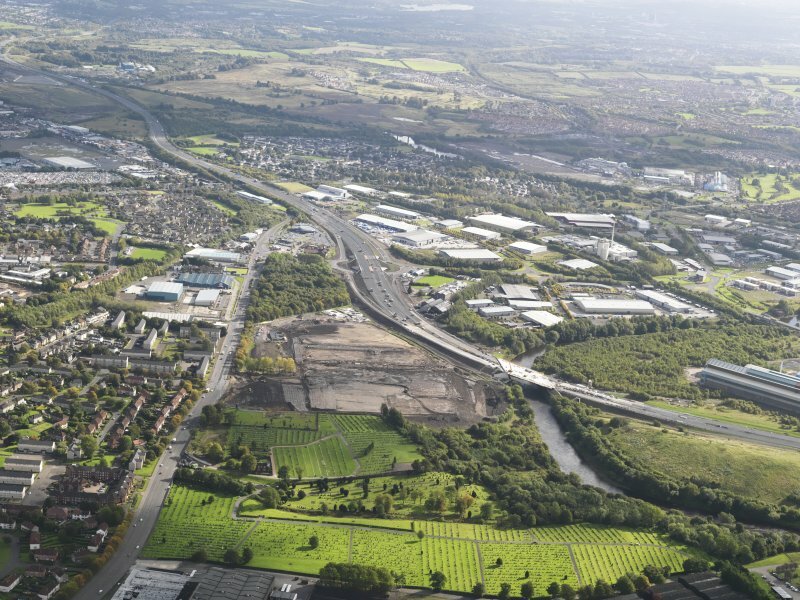 (Info from http://www.clevelandbridge.com/our-work/m74-motorway-bridges/ (accessed 11/08/2017)). Information from HES Survey and Recording (AMcC) 11 August 2017.